We filled up the trailer tires and then happily hooked the truck up and pulled the trailer up the hill to get Gem. As I was opening the back I walked past the right side of the trailer and thought that the tire looked like it had already lost a bunch of air. I mentioned it to the hubby and he thought maybe it was just because we were on a small uphill grade, but then upon closer inspection he agreed that it really was already down. Crap. We had already planned on changing that tire out before we headed to TN in October, so now was as good a time as any. 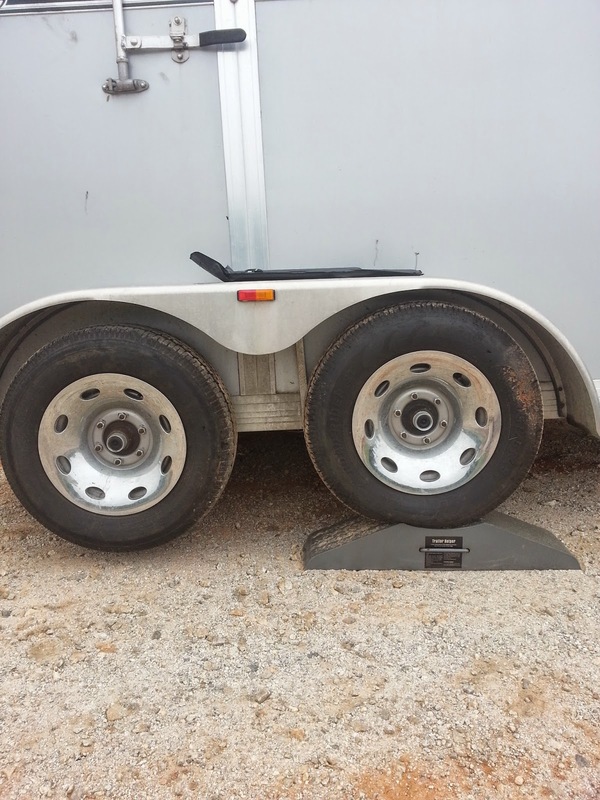 We have a full spare in the trailer. 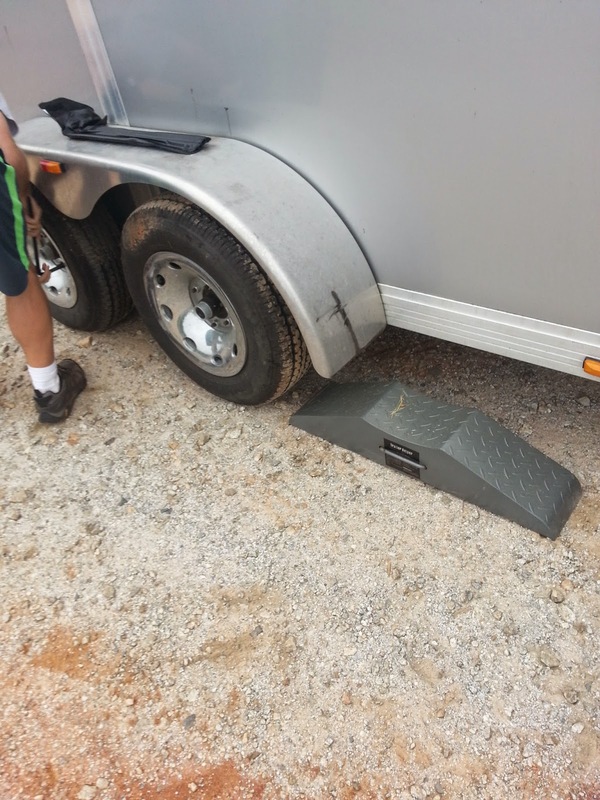 Thankfully my friend T had recommended a trailer jack back in the spring and we actually went ahead and got one. 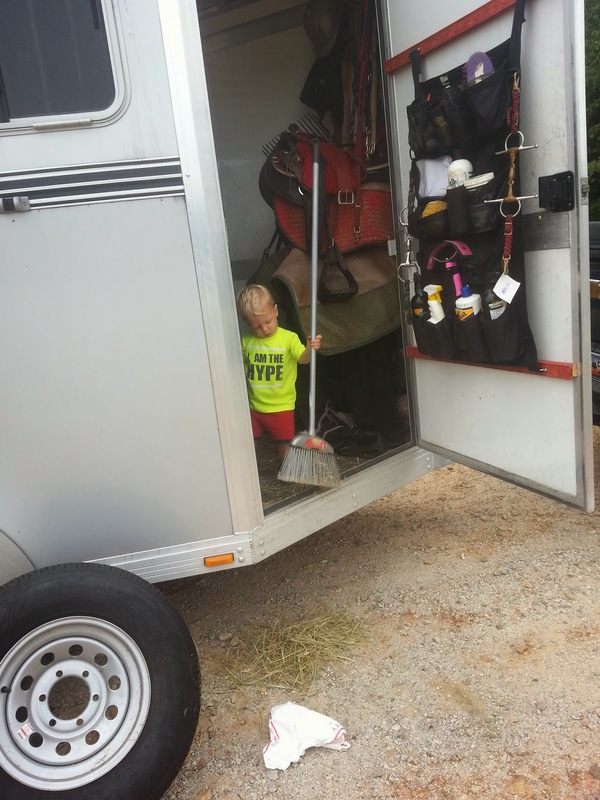 It had been living in the trailer unused until Sunday when we finally pulled it out. The instructions on the side say to be on level ground which is just common sense when changing any tire. We of course ignored that and just changed it where we were which was on a slight grade going uphill which would put more weight on the tire we were changing. I'm sure that is the exact opposite of what you should do. I needn't have worried though. 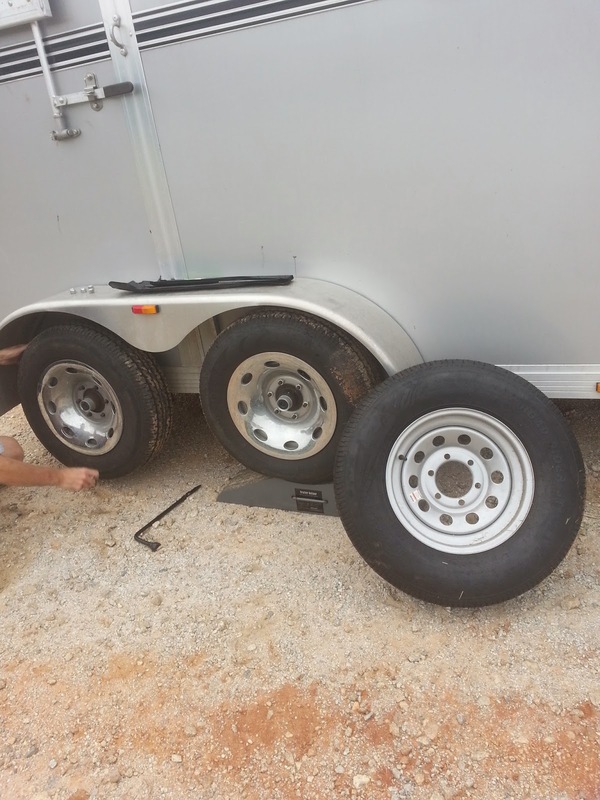 The trailer just went right on up the little ramp and once the tire hit the well I called out for the hubby to stop. Since we were on the hill it did roll back a smidge, but was steady and stable so we left it. By doing this, the back tire that needed changed was now in the air and ready to the removed. One side note: make sure you loosen all the lug nuts a bit prior to pulling up on the jack. Having removed all the lug nuts you can now easy pop the tire off and replace with the new one. Once you are done all you need to do is back up off the ramp and you are all set! 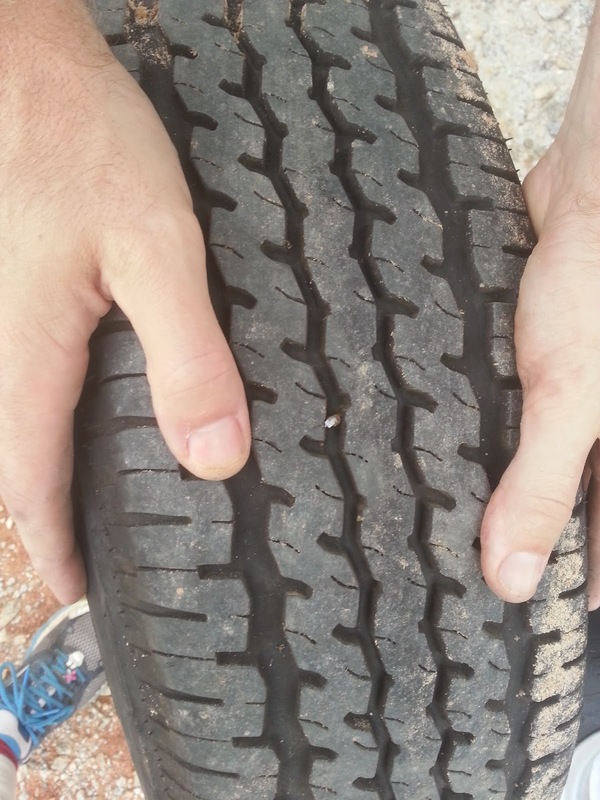 We inspected the tire afterward and saw a small nail in it which is what we expected to find. With such a slow, but steady leak there had to be something in there. And that was all there was to it! Other than the fact that it is just one more thing taking up space in my small tack area, I really don't have any cons. If you drive a trailer, I highly suggest that you invest in one to have on hand. You just never know. Mine has the rubber torsion suspension. It worked really slick with the trailer, but I don't know enough about mechanics to say if it would still work for you. It really made the job a lot easier though.